So, another odd one. 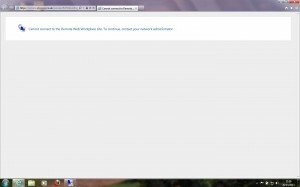 Users report that upon visiting remote.domain.com they are initially presented with the below error page, but if they try again immediately RWW loads as normal. If the user goes directly to https://remote.domain.com/owa this works first time every time. Looking through the event log, I keep seeing ‘TraceListener cannot be created.” and according to web.config – the logs are supposed to be stored within “”C:\Program Files\Windows Small Business Server\Logs\WebWorkplace” which on this server did not exist. 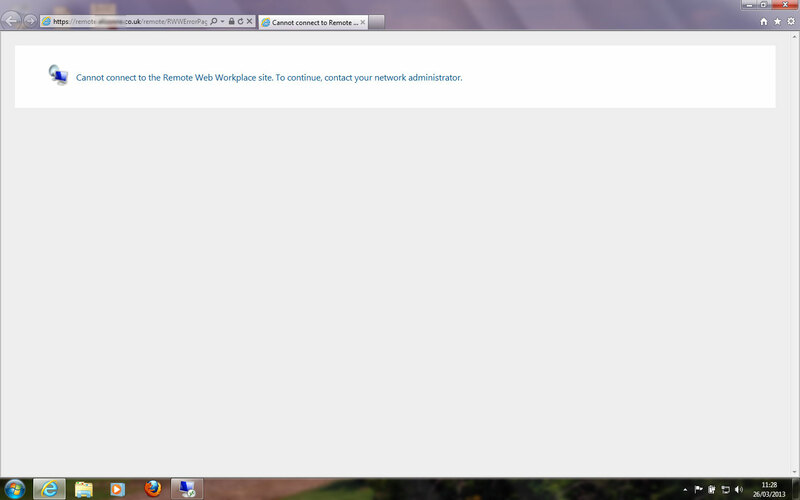 Upon creating this WebWorkplace folder I have since been unable to recreate the above error – so hopefully all is fixed!